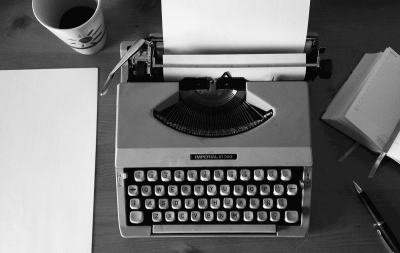 What’s the most important task of sales copy? And what’s the number one reason we struggle to do it? Because our prospects are masters of resistance. That being the case, the most critical task of your sales copy is overcoming objections. So let’s look at ways you can overcome the most common objections that keep customers from rushing to Buy Now! 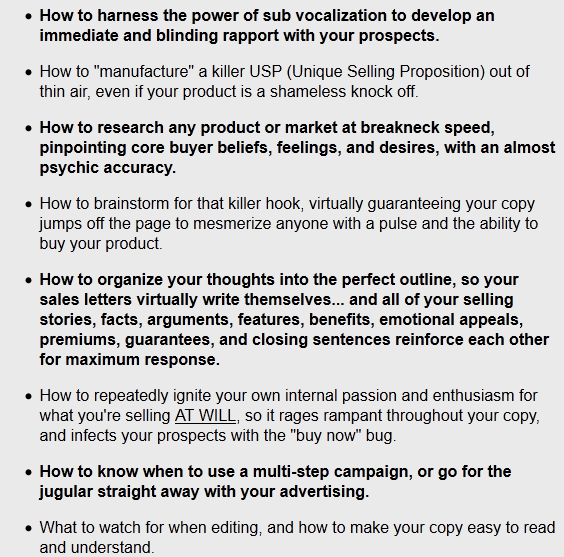 We’ll use a sales page by copywriting master Daniel Levis to glean some valuable tips. If you get this objection, you haven’t stated your core benefit clearly enough. Sounds simple, right? But when you’re focused on listing features and benefits, you can forget to state your point in such a compelling way that readers gravitate toward your Buy button. Early in your sales presentation, you need to present your product and clearly state what people gain when they use it. Never beat around the bush. Make it as plain and simple as possible, so there’s no doubt about what you’re selling. In Daniel’s sales page, the product is introduced first: The product name is given in the header, and the introduction talks about the copywriting masters who have contributed to it. 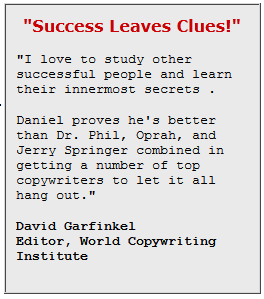 Especially if your product is complicated or provides a lot of benefits, follow Daniel’s lead. Provide a summary statement that acts as an elevator speech for your product. This helps people grasp the full extent of what they’re getting. 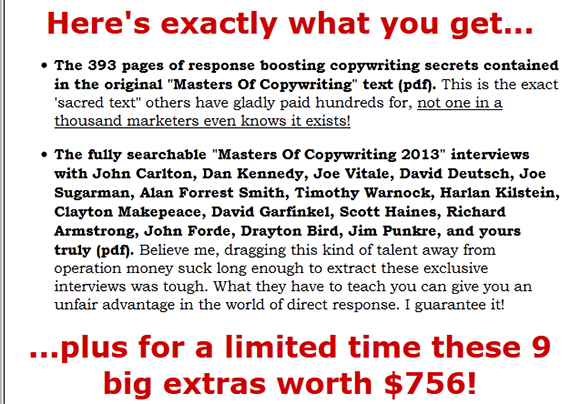 Notice how big the benefit is: “join the ranks of the full-time copywriters and marketers who consistently bag blockbuster results.” It’s hard to imagine being able to do this on your own. 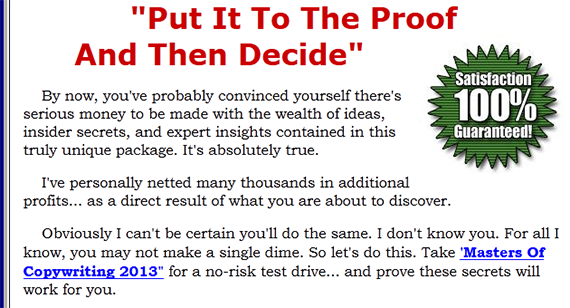 To overcome the “I can do it myself” objection, make your benefit as big as you can without losing credibility. Pricing is one of the biggest challenges we face as marketers. But getting it right is key to making the sale. Whether they’re aware or not, people use the price of a product to determine its inherent value. If the price is too high, they may think the product is too advanced or complicated. But if it’s too low (which is the equal and opposite objection), they’ll suspect your product is low quality. Focus on value rather than price. But he doesn’t stop there. After piling on the value statements, Daniel puts the price into perspective. This is a logical statement that helps you see the value of buying his product. To gather the same information yourself would take a lot of time and money. Even before the price objection, this question runs through your prospects’ heads. They want to proof that your product really does what you say it does. Be careful, though. If your solution seems too easy, people won’t believe it works. And if it’s too complicated, while they’ll be more inclined to believe it works, they’ll think it takes too much time or effort. Features and benefits are the place to start. The more detailed the information about your product, the more credible it is to your readers. Then after you’ve given your sales pitch, summarize everything your customers receive. Finally, pile on the proof by including testimonials from satisfied customers. 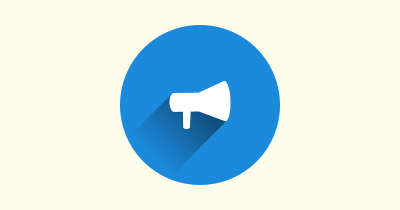 If you have them, use testimonials that address the objections you expect your visitors to voice. If you don’t, spend some energy gathering testimonials. Send an email to customers, asking them to share their opinions. Or, if your product is new, invite people to test your product in return for their feedback. If you have relationship with an influencer in your niche, ask for a review. One testimonial from a big name may have the same impact as several from average users. 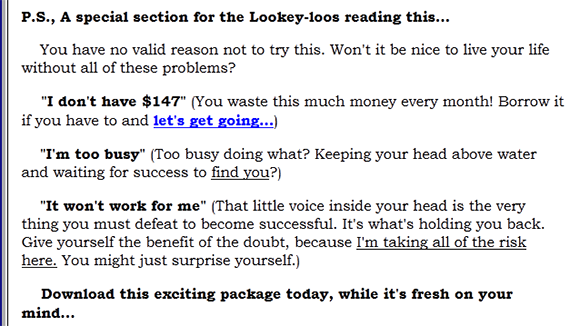 Your readers may be fully convinced that your product works. Your testimonials and benefit statements may have all done their job. But your readers may have bought a hundred other products like yours, with no success. Bottom line, they don’t believe your product will work for them. If you have stories of people who had never achieved success until they tried your product, by all means, use them. Barring that, you need an ironclad guarantee that your visitor can test and try your product without risk. Make the strongest guarantee you can afford to make, and these doubters will be much more likely to respond. 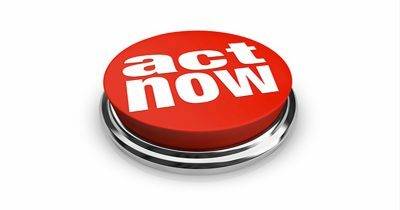 In today’s market, credibility is critical to moving your prospects to action. If your visitors have never heard of you before, they’ll be suspicious. Their underlying belief is that, if you are a valid business, they would have heard of you before. Don’t hide your name. Be as transparent as possible. In the face of genuine openness, people are inclined to believe you. Notice that this introduction clearly tells readers who is doing the selling. Couple that with a bio, giving more details about you, your accomplishments, and your reason for offering the product, and people will feel more comfortable with you. Be sure to include a picture. Seeing a face with your name helps people feel they can trust you. The strategies we’ve listed above are great ways to overcome objections: prove every promise, be clear about your product and its benefits, and include testimonials and credibility-boosters. Most of us shy away from directly addressing objections, believing we’ll be perceived as brash or pushy. But nothing could be further from the truth. Objections begin running through your prospects’ mind the moment they realize you’re selling something. In most cases, they aren’t even aware they’re putting up resistance. By naming the reason for that resistance, you can catch them off guard. Your ability to read their minds, so to speak, can cause them to lower their guard and hear you without resistance. See how Daniel does it in the screenshot above. He states the objection, then gives a parenthetical statement to replace the script running in his readers’ heads. It’s just enough of a reality check to make them give him a second thought. And it’s a great strategy to try in your own sales copy. What objections do you run into time and again? Have you found the best way to overcome them? How confident do you feel creating marketing that actually gets results?